Kharkiv has a long history as a center of academic excellence and scientific innovation. For over one hundred years, it has been at the cutting edge of technological developments, producing world-beating products and Nobel Prize winners. It is therefore no surprise to see today’s Kharkiv at the forefront of Ukraine’s booming IT industry and pioneer in the quest to make Ukrainian cities more tech-savvy. According to a recent report produced by Ukraine Digital News and local industry players, small and medium-sized IT enterprises currently employ more than 22,000 people. The average software engineer’s salary in the city is around US 2,000 per month, according to figures provided by DOU.ua, a Ukrainian portal for developers. A combination of these relatively high salaries and the international job opportunities open to experienced programmers make the IT industry one of the most appealing options for young Kharkivites. The sector is also playing an increasingly important role in the regional economy. In Q1 2016, the city’s IT industry attracted USD 132.9 million in foreign direct investment. Kharkiv’s progress towards Smart City status has been underway for almost two decades. The city authorities first began implementing digital technologies back in 1997. Within a year, Oleksandr Popov, the director of the City Information Center of Kharkiv City Council, had begun improving the city’s connectivity by linking all municipal services into a single online-accessible system. The move, inspired by the example of Lille in France, paved the way for further steps towards the digitalization of Kharkiv. “All our Smart City projects have been developed in-house, with 90% of financing coming from the reinvestment of funds generated by utilities. Around 20 Kharkiv city professionals have been involved in the process,” says Popov. The digitalization of local government has focused on increasing transparency and accountability. Today, Kharkiv residents can access the Unified City Register of Acts, which contains electronic records of all city council documents dating back to 1998, via their bank ID or by registering with the site. In 2007, the Kharkiv authorities launched the 1562 service, which seeks to enhance dialogue between city authorities and the local community. This platform allows residents to register complaints or make suggestions to the municipal authorities via phone or email. To boost citizen engagement, local IT company Artioker has designed a mobile app dubbed Active Kharkiv Citizen. This allows Kharkiv residents to create petitions, vote, and provide feedback on any aspect of city life via the app. Kharkiv residents benefit from a network of 34 online social security offices, with an additional two offline offices set to start operating soon. With their passport data and personal tax reference number uploaded online via any Administration Centre, clients can later submit them to a range of other institutions with no need to upload them again. The Kharkiv IT industry has played a role in improving the everyday flow of the city. Forty-five Kharkiv crossroads are equipped with adaptive traffic control systems, with every crossroad having its own passport. Traffic flows are visible on an electronic map, making it easier for drivers to avoid congestion. OpenStreetMap, an open source road map designed by openstreetmap.org, allows users to find their way around the city. 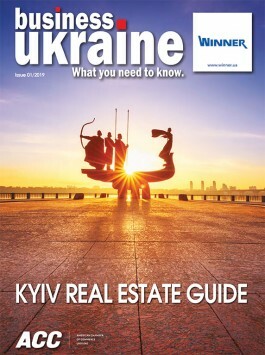 Another service that makes Kharkiv a better place to live is Online Advertising by Kharkiv GIS. This features a map of the legal advertising platforms in the city and enables residents to report any illegal advertising. Entrepreneurs can also request permission for outdoors advertising via the service. A similar map of outdoor amenities and playgrounds is currently at the development stage. As part of the Safe City project (2016-2020), Kharkiv’s main attractions will be equipped with video surveillance systems with online monitoring. Connectivity is one of the key characteristics of any Smart City. 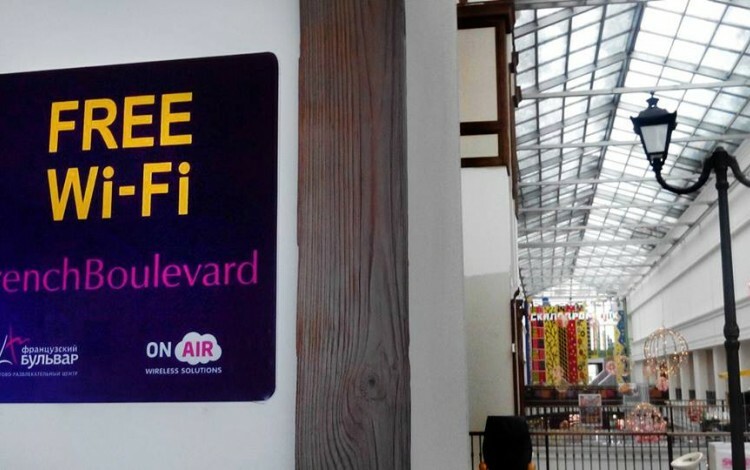 To ensure consistent connectivity, a cloud service offered by local IT company OnAir has been introduced as the basis for a range of services. It is currently undergoing testing in a variety of locations around the city. The company expects implementation of a fully functioning version of this service in the near future. Kharkiv is currently introducing a new model of transport management to make it easier and more efficient for residents to get around the city. One of the objectives is to ensure timetable accuracy and synchronize underground and street-level public transport in order to maximize user convenience. A single electronic ticket valid for all the forms of public transport will soon replace the current token system. It is worth remembering that back in the 1990s Kharkiv had been an innovator in the introduction of tokens themselves. The modernization of the public transport ticketing system comes as Kharkiv city authorities continue to negotiate with the European Bank of Reconstruction and Development over a loan for the construction of a new underground metro line. Construction could begin in 2017. In December 2016, the city unveiled its first digital trolleybus schedule display as part of a pilot project that will eventually see similar displays cross Kharkiv. “We need to install nearly one thousand digital displays. Vehicle tracking will be done via GPS. The project will take some years to complete but we have made a good start,” says Kharkiv Deputy Mayor Yevhen Vodovozov. Kharkiv software developers are active in the process of transforming Kharkiv’s public transport services. Local mobile agency Itomych Studio has designed a free app named Marshrutki that provides citizens with real-time data on the city’s buses and minibuses. To prevent residents from queuing for hours at city health care institutions, a pilot online appointment booking system has been trialed for more than a year at a Kharkiv city hospital. Once registered, a patient can choose the most suitable time for an appointment and receive an SMS reminder beforehand. The city is currently introducing this innovation at a further three Kharkiv health centers. A unified system of online medical offices at city universities containing patient data is currently under development. An electronic patient card may also be on the horizon. Every school in the city has been connected to the Internet and equipped with a computer classroom at the expense of the local budget. In addition, regional NGO Kharkiv IT Cluster promotes IT-related professions by conducting a series of workshops for schoolchildren, as well as meetings with students and training courses for teachers. “The process of teaching computer science in schools is becoming more innovative thanks to the Kharkiv IT business community. We partner with the Academy of Further Education and train teachers from regional towns in new programming languages. They are currently being taught Python,” says Nataliia Vynogradska, the Managing Director of Kharkiv IT Cluster. The cluster currently has a membership of 29 companies and cooperates with eight local universities. Early in 2016, the cluster launched the Kharkiv IT Unicorns initiative - a series of teaching and training activities to help students put their ideas into practice. “We seek to enhance the development of the IT ecosystem in Kharkiv while contributing to the structuring and strengthening of the local IT community,” comments Ms. Vynogradska. As part of the Seven Wonders of Kharkiv project, six city landmarks have been equipped with QR-codes, with fifteen more landmarks set to join the list in 2017. The technology involved allows city officials to track the number of tourists visiting any particular landmark. In a reflection of grassroots enthusiasm for the Smart City concept, this project was initiated by a group of volunteers. Meanwhile, the Investor’s Navigator initiative guides investors step-by-step through the process of launching a business in the city, from finding the right location to obtaining a business license. Another investor-friendly initiative set for release in the coming months will be an interactive map indicating vacant land plots, buildings in need of renovation, and unfinished construction projects. A number of Kharkiv-based companies have also developed innovations for cities in Europe and the US. Kharkiv-based software development company CodeIT has a range of international clients, with 32% of the company’s current client portfolio coming from North America. CodeIT has developed two eye-catching applications for Swiss municipalities. One is a platform that helps Swiss municipalities manage local recycling efforts by reminding users of the schedule for upcoming collections. It also allows municipal authorities to send users custom messages such as local news bulletins. After successful implementation in one Swiss municipality, it has expanded to three further Swiss cities. The second app, Grippe, allows users to carry out health checks via online testing. It also lets users manage a centralized health calendar and provides access to a map monitoring flu outbreaks across Switzerland. Another local company, Itomych Studio, has built on its local Marshrutki app for Kharkiv by designing a similar app to track public transport for a client in Delaware, USA. Dubbed UD Shuttle, this app is available free of charge via App Store and Google Play. These examples reflect the global competitiveness of Kharkiv’s IT sector and highlight the city’s status as one of the most innovative Smart Cities in the region.